The UW Department of Psychiatry invites you to take part in the 13th Annual NAMIWalks Dane County, to be held on Sunday, October 7th at Olin-Turville Park. Registration and festivities begin at 10:30am, and the Walk will start at Noon. Please come early so you can enjoy the refreshments, games and entertainment! Or visit the NAMIWalks Dane County webpage to create your own team, register, or make a donation! 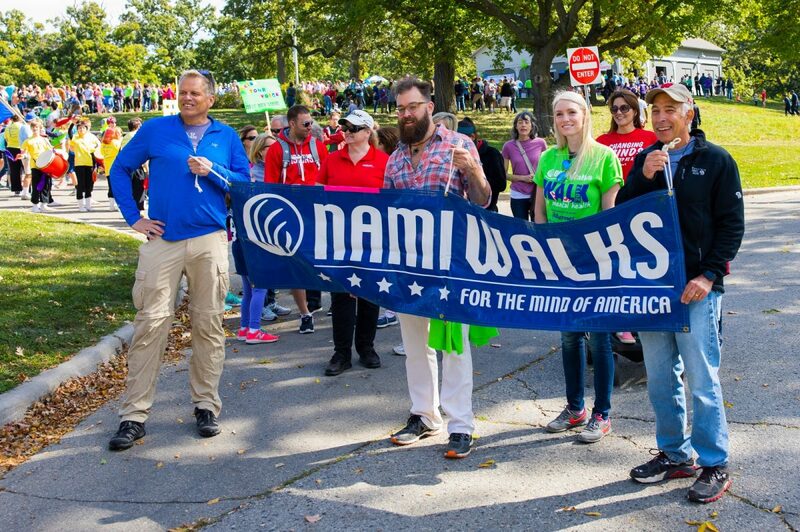 By partnering with organizations like NAMI, we hope to raise awareness, reduce stigma, and improve the lives of millions of individuals and families impacted by mental illness by increasing access to affordable quality mental healthcare services & resources, advocating for policies that support mental health initiatives, and increasing funding for scientific research and the development of treatments that reduce suffering and increase well-being.